Is there anyone not a Stamps fan rooting for the Stamps? Is this finally the end of their reign of terror? Yes, and you read it here first! It’s been said that it is incredibly hard to beat a team in the CFL three times in a season. Ottawa has done just that against the Cats and it didn’t look all that difficult. It’s true that Hamilton made surprisingly short work out of BC but let’s be honest, that team was never making it past the semi’s. There’s nothing secret or new about Ottawa needs to do this weekend to make it to Edmonton, be themselves. Hamilton’s wearing a monkey. To beat Ottawa they’ll need to be more creative than they have all season. They’ll need to out coach and out play their opponents. No mistakes can made and a complete victory in all three phases is required to advance. It’s also been said that to achieve victory is must be visualized first. For the first time in a decade, Calgary appears very beatable and unsure of themselves. Winnipeg, on the other hand, appears certain of themselves and poised to end the cup curse. The team that wins this game commits the fewest turn overs. Plan and simple. These teams are near mirror images of each other. Calgary has a better QB. Winnipeg has a better RB. Will LaPo call a game that can match the aggressiveness of Dickenson? Can Nichols throw the ball deep enough even if he does? The tie breaker may well come down to field position. 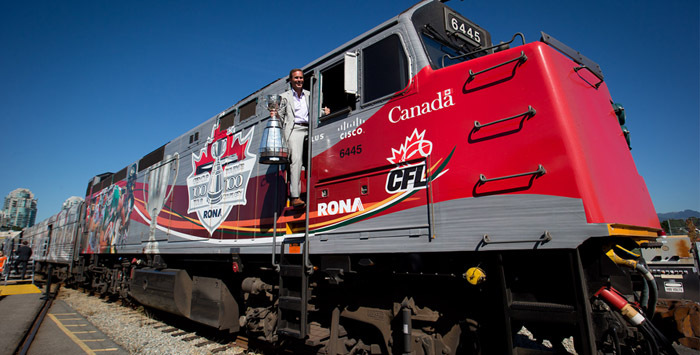 This is the real Grey Cup. Last week: 2-0 Helluva way to finish. BOMBERS IN EDMONTON NEXT WEEK!!!!! !